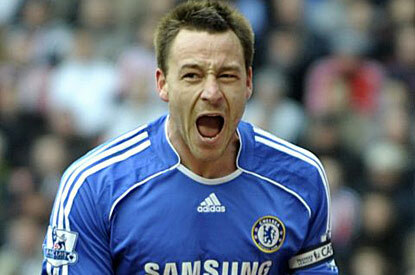 When I say I strongly dislike John Terry. But that's no excuse for not controlling his tongue. At a hotel he threw food and heckled stranded Americans. The date this took place? It was on 9/11. Terry has had the privilege of raising 13 Blues' trophies. If their leader had not come undone? Terry's Champions League Finals have not been great. Missing the winning penalty in 2009 sealed Chelsea's fate. Due to angrily kneeing an opponent in the semifinal, resulting in a red card. Is Terry a better husband than teammate? According to "The Sun," the number of times he's cheated is eight. Rendezvous with an underage woman, a heiress and model. When it comes to adultery, Terry does not dawdle. They alone could not keep Terry from sins. Resulted in an aborted baby. Did Terry once consider the affects? With the Football Association stripping his captain's armband. Assuming the racist comments he said to Ferdinand are true. Terry's exploits have been a dream for tabloid reporters. Besides murder, is there anything left? Even Terry's dad was arrest for selling drugs. And his mom? Arrested for theft. A leader? A captain? His enemies are mounting. Wayne, Antoine, Rio and counting. Terry thought he'd one-up the FA by bidding England adieu. But forget England. I want him to retire from football, too.